Daniel (TLF) recently chatted to Mira Stammers, the innovative lawyer, entrepreneur, academic, consultant, author, public speaker and mum who created Legally Yours. Legally Yours connects and matches consumers with high quality lawyers using a fixed-fee system rather than the traditional billable units. Mira, what is your background? I studied psychology and law at La Trobe University, and practised in Melbourne and London as a banking lawyer for many years. On returning to Melbourne in 2013, I noticed that the profession was, on the whole, not meeting client expectations on many levels, from pricing to accessibility. I also noticed that lawyers were generally unsatisfied with the inflexible nature of the profession. I wanted to change that. Could you describe exactly what the term “NewLaw” means? There are many definitions and interpretations of NewLaw. I would describe NewLaw as a way of providing legal services through a significantly different business model than those that underpin BigLaw. NewLaw business models are often more focused on the client experience and delivering a unique and less conventional value proposition to the market. Legally Yours was one of the first companies to offer a “legal marketplace” with fixed-fee pricing. Why were you ahead of the trend on NewLaw? In some ways yes, I feel I was ahead of the trend. I come from a place of compassion for the consumer, and I have a drive to increase access to justice and transparency in the market. I completed a lot of user research, which informed my business model design and my strategy before launch. That information was critical. Law firms often forget about how crucial UX research and design is. I remember trying to recruit lawyers for the marketplace (which was initially a live pitching platform), and about 60% of the lawyers I spoke with told me it would never work, that it couldn’t be done. However, I launched in five states with 66 lawyers/firms on board, and it can, and is, being done. It just took a while for people to catch up. CEO’s are sometimes described as the “fire-fighter” of a company who’s chief responsibility is resolving the big problems. As CEO of Legally Yours, does this analogy strike a familiar chord for you? Yes probably! Although I would probably describe my role as mostly strategic, there can certainly be fires that need some attention at times. Please tell us how you came across Clayton Christensen’s “The Innovator’s Dilemma” and why in your opinion it is significant for the legal industry? I’m teaching ‘Contemporary Issues in the Legal Profession’ at La Trobe University’. La Trobe law school is quite innovative and wants to engage its students in discussions around business theory and NewLaw. I have included disruption theory in my lectures as a way to describe what is happening with NewLaw. Clay’s work is a significant part of disruption theory. I believe that business theory is always relevant to the legal profession. The issue is that most lawyers aren’t trained in business, yet they assume management roles. Do you think we have reached a point where it is not only market pressure that promotes innovation, but almost that we have created a wild west market for gun-slinging innovators who actively search for service inefficiencies to challenge? I think entrepreneurial people will always search for solutions to market problems. Does your experience with Legally Yours suggest that fixed-fee lawyers are producing work of the same quality as a traditional firm? Yes. The pricing methodology the lawyer employs is in no way linked to quality. It also doesn’t mean that the lawyers that are fixed-fee are cheaper. This is a common misconception about pricing. Fixed-fee and value based pricing both aim to provide the client with price certainty, whilst putting the lawyer and the client on the same page rather than being in conflict from the outset (i.e., the less efficient the lawyer is, the more they get paid). What is your approach to flexible working arrangements? I think you lose great talent from the legal profession if you’re inflexible. As long as you can make it work for the client then there is no reason why you shouldn’t be flexible. What does the expansion of legal marketplace mean for traditional law firms? It depends on what you mean by expansion. If you mean new markets or disruption, then traditional law firms need to keep abreast of their competition as the market is changing. Do you find that once a successful lawyer-client pairing has been established that a client will remain loyal to that lawyer or is it the case that every matter is treated as separate and unique? I think it depends on the client and the type of legal work. The more routine/simple the work, the more the market will push for the commoditisation of that work. We read an article you published in Lawyers Weekly that explained traditional law firms are ignoring disruptive innovators because they are only attacking the lower end of the market. Do you think that there will always be a place for the brand recognition of top-tier firms for lending credibility to a project or will this too become obsolete? I think no-one should consider themselves safe from disruption (think Kodak, Yahoo and Blockbuster). Sure, the top end of the market services a certain type of client that may be reluctant to move firms for a number of reasons, but these clients are savvy and they no doubt also have internal pressures on their legal budget. However firms achieve it, these clients will also need to feel that they are receiving value. In your view what should young lawyers be doing to prepare for the changes in the legal industry: should they be working for traditional firms and making innovation a side-project, or should they look for disruptive companies for employment? I think young lawyers should follow what interests them. It also can’t hurt to read a few business books and understand the market well. When you think of the word “successful”, who is the first person who comes to mind? Why? My mother. She has always been an inspiration to me. What is the best or most worthwhile investment you’ve made? The investment could be one of money, time, energy or any other resource. Creating Legally Yours. I believed I could create it, so I did. What is the worst advice you see or hear that keeps being dispensed in the legal industry? That it’s only the low end of the market that will be affected by disruption, so let’s ignore it; it won’t touch our firm. Fixed-fee and value based pricing is less profitable, don’t do it. Is Legally Yours hiring? If so, how can students and lawyers apply? We are always looking for talent, but we operate on a lean virtual model and we are not a law firm, so most of the talent we look for are people who are outstanding in tech and online marketing. Milan (TLF) caught up with Gene Turner, the former law partner at New Zealand law firm Buddle Findlay who gave it all up to become Managing Partner of LawHawk Limited. LawHawk provides advanced online automated legal document templates – real smart contracts – to help New Zealand law firms deliver Law@Speed. Gene, what is something you believe that other people think is insane? I think a lot of what I believe is regarded as crazy by lawyers! Several years ago I did an MBA with Victoria University, while I was still working. We learned about all sorts of ideas that were proven to work in industries and professions outside law, and I was keen to try them in law too, but I often struggled to get traction. One partner told me that I had too many ideas from books (with the implication that they wouldn’t work in practice). I was certainly banging on for years about document automation and how fast it would enable us to work, without anything much tangible to show for it, which wouldn’t have helped get buy-in. Two that I refer to often are “done beats perfect” and “better never stops”. They go together well, because you are better to get something up and working, and then keep improving it, than to take a long time to build something “perfect” and then find that it isn’t want you needed anyway. I thought that the scale of larger law firms was a massive advantage, but that’s only true if the large firms use that scale and the extra resources they have to their benefit. Because the decision making can be very slow in larger firms, I tend to think the advantage now lies with smaller firms. They can be more focused, and move more quickly, if they want. With so many services now available via the cloud on low cost subscriptions, small firms can access many of the same technologies larger firms can. Tell us about LawHawk. How did it come about? I’ve been obsessed with document automation for many years, since someone at Westpac helped me automate some loan documents and reduce an hour of work to around 3 minutes. But I could never find a way to do it that worked reliably, and that was cost effective and scalable with complex documents. When HotDocs brought out a cloud offering, I thought there was an opportunity to make document automation available to all lawyers, not just those in the firm I worked in, without them needing to figure it all out themselves. Nobody else seemed to be doing anything like it. There are two main limbs to the service. One is generally available documents that anyone can use on a small pay-per-use basis. As well as preparing the documents quickly, we try and build in a lot of guidance and compliance to ensure high quality. If we can get lots of people using these documents and helping us to continue to improve them over time, lawyers can spend more of their time on things that will really add value to their clients, instead of trying to develop and maintain their own precedents. The other limb is custom automation. In that case, we can work with customers to automate their own documents. Often this will be a set of related documents (or a whole workflow) and we’ll try and make it as efficient and high quality as possible. These customers could be an in-house legal, procurement or HR team for example, or they could be a law firm that wants to grow a particular area of their practice by doing that work more efficiently and better than anyone else. By genuinely working differently and using our cloud platform, they should be able to win more work. Why is it important that law firms deliver Law@Speed? Law firms are too expensive for most people. The clients that can pay typical legal fees (like large corporates) are refusing to (they’re asking for massive discounts, and refusing to pay anything for young lawyers), and ordinary people can’t afford $500/hour. It’s estimated that 85% of people who have legal problems don’t see a lawyer – almost total market failure. If lawyers can work faster, they could charge less but still be at least as profitable. Basic economics would suggest that this will result in more work. I think working more efficiently is the key to solving access to justice issues, as well as the lack of work-life balance and satisfaction for lawyers, and lack of diversity at the top. The blunt reality is that if lawyers don’t start to deliver services that clients want, at a price they are happy to pay, someone else will. What is next for LawHawk? What is next for you? I wish I knew! We only went live in June 2016, so we’re still at a very early stage in our business. In the first 9 months we’ve confirmed that we can do complex automation to a very high standard. Our next challenge is growing awareness of the problems we can help with, and to turn interest into action. We’ve been largely focused on New Zealand so far, but are starting to get attention in some international markets, and we’re definitely interested in opportunities to work with people in Australia, the UK, Hong Kong and Singapore where we could easily custom automate existing documents. Because we are only focused on document automation, and are cloud based, we can easily fit into other systems that manage workflows. We’re only a hyperlink away! We have just had our first integration with Lawvu. You were a partner at New Zealand law firm Buddle Findlay – why did you leave it all behind? It was nothing specific about Buddle Findlay, and more about me. I had some great colleagues and clients, and was in a very fortunate position, but I was struggling with the commitment required to perform at the level I wanted to, and didn’t think I could sustain it without some major changes and to some extent starting again with the type of practice I wanted for a longer term. I also get restless quite easily and am always wanting to try different things, and learn new skills. I wanted to try something else, stand on my own feet, spend more time with my wife and kids, and see if the grass really is greener. You could summarise it as a mid-life crisis! What does legal innovation actually mean? That’s a very hard question. We just had an interesting College of Law Centre for Legal Innovation roundtable on that topic, and there were different views amongst the attendees. For me, it has to be practical and so doesn’t need to be blindingly novel or disruptive. Small – but real – improvements can be powerful innovation. In our case, we’re focussing on some pretty low hanging fruit with document automation, but even then some lawyers have questioned whether we are two steps ahead of what the legal market is ready for. Timing is everything! Things like machine learning and blockchain are definitely of interest to us, but to my mind they’re too far ahead of what people can usefully use right now. We understand that, beyond LawHawk, there are other examples of New Zealanders advancing legal practice through tech and innovation – can you tell us more? Yes, there’s a lot happening within New Zealand. Check out companies like Lawvu, Autom.io, Simmonds Stewart, Catalex, PageMap, Order of Precedents, Justly, OneLaw, PageZero, ActionStep, CODR, ConnectWorks, Contract Check. How can we harness legal innovation to enhance access to justice for everyday people? I think that technology is key to this. One very small example is a free will that we just released. We have been looking for ways to introduce the power of our HotDocs automation to people, and one of the best ways to do that is let people try it themselves by creating a document on our website. We could have put a “pretend” document up, but in talking about it with Matt Hay from Succeed Legal we thought that if we made it a real will, we could also enable anyone in NZ who doesn’t have a will to get one. From our perspective, it’s the same cost, and those people were unlikely to be LawHawk or law firm customers anyway. But maybe having a positive experience in making a will could help them think about getting help for other legal issues too. Lawyers can also use our will. If they can get the drafting done really quickly, they should be able to charge a lower amount and spend more time talking with their clients and giving them better service, while making at least as much profit. Really, everyone should win. We also believe in collaboration and sharing. Many of our commercial documents are based off the New Zealand Government Model Contracts and RFx procurement documents. The New Zealand Government uses these a lot as part of their $39bn annual procurement spend. New Zealanders have already paid for the development of these documents through their taxes, and they’re pretty good. If they’re good enough for the New Zealand Government, I think they’re good enough for many SME businesses that would otherwise have to pay thousands of dollars to get their own agreement drafted. Our automated version costs less than $50 and takes only a few minutes to prepare. The New Zealand Government is also doing a lot more to make it easier to comply with law. They are publishing a lot more information, but also building tools like their free online employment agreement builder, and privacy terms generators. Do you have any advice for law graduates who want to pursue a career in lawtech entrepreneurship? If you can, get a good grounding in law first and find out for yourselves what are the problems that need solving. While there is a lot about the way lawyers have worked during my time as a lawyer that I didn’t enjoy, I hope that is changing. I hope that working as a lawyer will be more interesting and satisfying for today’s law graduates than it has been for many of my generation and those that have followed. I think law and lawtech are going to be inseparable, and so you don’t necessarily need to pursue a separate career in lawtech to work with technology. See a firm like View Legal for example. For those that do want to focus more directly on a career in lawtech entpreneurship, I think having experience of working in law is essential. Law firms and lawyers don’t work like ordinary people. Anyone can have an idea, but its getting it to work that counts. Our core piece of software, HotDocs, has been around for 20 years without getting the traction I think it should have. It’s not the technology that will make LawHawk (or any other legal tech) succeed – its being able to apply it in a way that creates good outcomes to real problems. Without all of our legal experience, we would just be coders pushing a technology solution, rather than a service with good legal outcomes. The Legal Forecast is excited to announce a strategic partnership with Law In Order. Law In Order is a leading supplier of end to end document and digital solutions to the Asia Pacific legal industry. From its offices in Sydney, Brisbane, Melbourne, Perth and Singapore, Law In Order offers legal support services to over 2,000 law firms, corporations and government agencies from document production through to eDiscovery and eCourt services. The partnership will allow TLF to harness Law In Order’s expertise in applied digital technology. It will further allow TLF’s members and friends to gain access to Law In Order’s extensive network of clients who have already adopted the cutting edge of digital legal practice. Keep an eye out and don’t be afraid to say hello to the Law In Order team at your next TLF event. Michael (TLF) caught up with Tahlia Edwards, the wonderful Guest Relations Executive at NEXT Hotels. She gave us some insight into how technology and innovation are necessary in the hotel industry. What challenges have the traditional hotel chains faced with technology and responding to a more globalised market? How is NEXT Hotels addressing these challenges? Traditional hotels have actually thrived in globalised markets. Take the Hilton Hotel for example – no matter where you travel in the world you know what to expect when you check-in to a Hilton. It offers a familiarity and consistency in the globalised market. It also means hotels can build strong contracts with global companies and provide accommodation to employees wherever they need to travel for work. Technology on the other hand definitely challenges traditional hotels. Their brand structure, policies and procedures all tend to be rolled out on a global scale, so updating these is a big task and involves training a large number of staff. Simple things like credit card technology and the collection of guest’s details tend to still be done the ‘traditional’ way – this is why you find the big hotel chains still require guests to fill out physical registration forms at check-in and won’t receive credit card details over phone or email. It’s important to remember as well that technology is changing rapidly and it does become quite costly to keep up. It’s fine to upgrade your personal phone when the next iPhone is released but doing this in each of your 300 rooms hotels is not always practical. If a hotel decides to be a ‘tech hotel’ then it needs to continually be at the forefront of innovation. Here at NEXT we like to think of ourselves as always working in ‘Beta mode’. We continually update our in-room devices, our app and our procedures – it’s a big investment on our part but it’s how we position ourselves. Some guests love the technology and others are a little more hesitant. Is Airbnb providing disruption to the corporate or leisure hotel industry? Definitely more so to the leisure market. Our corporate guests tend to travel regularly and more often will stay in the one hotel due to company policy and compliance. Corporate travellers prefer familiarity and consistency and it becomes almost a base for them and their colleagues. Corporate clients also have expense claim policies and chargeback requests which Airbnb cannot meet (just yet!). For leisure travellers, Airbnb definitely provides a ‘local experience’ rather than your normal corporate hotel stay. We think there’s definitely a market for both. Some people love the traditional hotel stay and the stereotypes that come with it. What technology is being used by NEXT Hotels to increase efficiency and the general guest experience? Our check-ins are done by our NEXT Assistant staff member who roams the lobby with tablets – this sees them come out from behind the desk and offer a more personable experience rather thank a bank teller feel. Our check-in process is actually quite seamless with no registration cards or address collection – this gives our staff more time to focus on the service aspects. Once our guests are up in their room they will find a Samsung Phone which can be used to control all the lighting, TV, order in-room dining, express check-out etc. It can also be taken out of the hotel and used as complimentary Wi-Fi hotspot as well as complimentary local calls, which is incredibly useful for our international guests. The phone also allows guests to ‘text’ our switchboard staff so, if they need their dry cleaning picked up or if there is an issue with the room, they can easily just message us without having to wait on hold. We also offer free wifi throughout the hotel without passwords or loyalty programs necessary. What is a ‘crashpad’ and how does it respond to the needs of the modern corporate professional? Our Crashpad Rooms are our smallest room type at 19sqm. They’re kind of the middle ground between our Standard Queen rooms and the Capsule Hotels in Japan. It comes with a full bathroom, double murphy bed and all the normal inclusions (free wifi, 4 free minibar items, free movies, access to NEXT Lounge). They are quite good for business travellers who are on a budget – they can get a slightly cheaper room but with all the facilities of a 4.5 star hotel. They are also great for people who aren’t spending a lot of time in their rooms and literally just need somewhere to crash. We still get some people who walk in and don’t realise that they’ve only booked 19sqm but we also have a lot of regular guests who love them and they tend to be the first to sell out! These rooms also inter-connect to our Standard Rooms which is great for when families are travelling for leisure. You have a new hotel in Melbourne under construction that will offer everything from a sleeping pod to first class accommodation. Why do you think this is important? It’s important to understand that the corporate traveller isn’t a one size fits all. Some will fly in late at night and check-out the very next morning. Others will stay with us 4-5 nights a week – week in week out. Being able to cater to those who just need somewhere to sleep for 6 hours and for those who use us as a second home is really important. You also need to think about the families of our travellers and offer a space if their family decides to come stay for a few nights – a well-rounded solution to cater to the new and emerging way of the corporate world. Do you believe corporate share accommodation (professionals have individual rooms with common areas) will become a new way to network in future? Could an app be used to allow guests to choose their roommates or the industries they are involved in? Absolutely – we are already seeing some hotels in America offering private rooms with communal kitchen and living rooms. At the end of the day, we are all humans who need to feel connected to others. This is a great way to build a sense of community and of course offer a different type of networking platform. An app could definitely be used to connect guests – but of course you still have some privacy and security issues that would need to be taken into account. Any thoughts on how the corporate or leisure hotel industry will be different in 10 years? For corporate hotels you will continue to see innovations for the ‘independent and self-sufficient’ corporate travellers. For leisure hotels we definitely see more focus on ‘experiences’ to compete with Airbnb but also a bigger focus on the local community – lots more locally produced amenities and produce. They will also have to become story tellers connecting guests with their locations. Daniel (TLF) caught up with Conrad Karageorge, the ambitious former law graduate from Lavan Legal who moved on to establish Australian data analytics platform Jurimetrics – allowing law firms to effectively understand and price legal and government risk to make better business decisions. How did Jurimetrics start? We know it was part of the Vocus Upstart program but we couldn’t find much more than that. Jurimetrics began out of law school. Co-founder Sam Spilsbury and I saw that the law didn’t adopt new technology as well as other industries. Sam had a background in software development and I had a background in financing. We saw that where we could really add value was in creating better tools for solving client problems and becoming their trusted advisor. I had worked in finance and used Bloomberg for the first time and was shocked at how well they knew the world around them – they knew the players and they could make pretty decent estimates on what an industry would look like in 3-5 years time. As a result, they could provide great services to their clients. I was disappointed that law didn’t have that, especially when we need the same level of foresight in advising companies. Our idea was to take the Bloomberg terminal and build that for law – any interaction a company has with a law firm would be recorded and used to better evaluate it. Jurimetrics analyses interactions between people, organisations and government (including courts, legislation and regulatory decisions) to look for risk and opportunity. It means teaching a computer how to read. It’s going to various websites and documents and teaching the computer to recognise words or areas of a document. For example, we teach it to read the head of a court report and recognise the difference between mentions of a judge as opposed to a solicitor and an area of law. Think of it in terms of actual mining – the documents are the tenements and the data is the resource you need to extract from them. Can data scraping extend beyond recognising simple phrases to understand meanings? Could data scraping, for example, recognise the same thing said in different words? Yes definitely. However, Jurimetrics focuses on the volume of information rather than trying to find greater information within it. Theoretically the sky is the limit and in a few years time a computer could be analysing an entire document itself and pulling out really unique information, but teaching a computer to read like a human is probably a few years off. Data scraping gets a lot more complicated when dealing with legal judgments because judges don’t talk like humans. Words don’t mean the same thing and data analytics typically struggles with that – it’s really more art than science when it gets down to that level. What do you see as being the role of junior lawyers and paralegals given the emergence of data analytics? Will they have to become IT savvy so they can interpret data? Interpretation is a big thing. It will be less about conducting due diligence searches and more about interpreting what the search results actually say about a company. The work will extend beyond conducting searches on the client to looking at comparable companies and what the industry overall is experiencing to see trends in litigation and regulatory intervention. Legal work for young lawyers will also begin to focus on who the most litigious parties are within an industry and which entities pose the greatest risk to investment – strategic questions. Young lawyers will be able to focus on making commercial decisions with the law using statistics to back up their recommendations. Charts aren’t predictive; it’s really what you see in them. The one lawyer that gets it right now gets a value add to their company –that’s where we think the value is for law firms, and in particular, the junior lawyer. Is it accurate to say that the traditional metrics of success like firm size, reputation and pre-existing relationships will be less important than who has a winning record? We feel that win-loss records actually don’t have a lot of value when evaluating lawyers. Law firms are of the opinion that they are probably meaningless because it doesn’t factor in the difficulty of the cases a lawyer takes on. Win-loss records are probably not as good a metric as experience and whether a lawyer understands a particular area. In Perth we see the importance of experience in mining law. A firm may have run multiple cases for very large companies, but that experience doesn’t necessarily translate to the needs of a small cap miner. Jurimetrics can assist a client in identifying the companies that have had a similar matter and their representation to isolate a firm you otherwise wouldn’t have noticed. This capability can be as specific as isolating the particular section of legislation in question. So legal analytics is about the art of seeing value where other people are missing it? Yes definitely, it’s about the story behind the data. It’s being able to see the information, what’s good data and what’s bad data. Everyone is going on hunches. That is data in and of itself; it’s just opinions and really intangible stuff, it’s bad data though, not something you should be making decisions on. Does Jurimetrics enable under-resourced parties to level the playing field to a degree by ensuring they have the insight to know exactly the representation that best serves them and how they can get value for money? Jurimetrics gives smaller law firms a much bigger resource. Typically large firms can throw bodies at a problem and have a wealth of knowledge about an industry on-hand. Large firms can crowd-source the information they need, but our technology gives that level of insight to all users. You can also see how particular laws are affecting a business and who is being disproportionately affected by legislation. There are several ethical implications with big data and legal analytics. Do you feel any sort of responsibility for the proper use of the data you’re collecting? We take ethical guidelines really seriously. But we’re the first guys out there so we are making this up to some extent. Data analytics needs to be made by the legal community for the legal community. We start getting into the grey area with judges’ decisions and making comments about the political nature of a judgment based on previous data that suggests they are somewhat inclined to a particular issue or policy. For us, the data is out there: what that means is in the hands of the lawyer. We deal almost exclusively in data that’s in the public domain. We won’t use anything that’s private or even semi-private. It’s things that have been published. We stay on the public side of the data debate. We have a pretty strict code of ethics and we focus on how law firms can better serve clients. There is an area of grey where there are data companies to which the law has not caught up. Governments are very slow when it comes to regulating new technology. You have to understand you are in unchartered waters and you have to be careful. TLF Brainstorm | Ep. 2 | What is legal innovation? Legal Innovation is refusing to accept the status quo. It’s respecting the value of tradition and precedent, but embracing and driving change. It’s seeing a need and meeting it. It is realising that the Robots ARE COMING…and deciding that this is a good thing, that it heralds the Age of Imagination and will get rid of the crap work we used to have to do. It means being a doer, a creator and an investor, instead of just an adviser. It means getting some skin in the game, putting something on the line instead of standing on the sidelines. It means taking a risk rather than describing the risk. It means adapting to the changing needs of the client. I see a lot of innovation talk in the legal sector being very internally focused, which is plainly flawed. Clients (still) are not properly being brought into the conversation, and this is reminiscent of the way law firms have always worked. And it is a huge problem. And it is also why New Law outfits which are doing things differently are winning work away from the old model. I think it is important to point out that innovation is not a new thing, we have been innovating since our ancestors used a stone as a tool. Innovation is about progress, doing things differently, trying new ideas and changing how you do something now for a better outcome. The legal sector has been wonderful at avoiding change, but the game is well and truly up! Legal innovation means making a systemic shift from accepting the current state of legal practice, to putting on a new set of lenses which see change as an opportunity. It involves going back to basics and considering the core role of legal services, placing the consumer (client) at its centre and creating services and technologies which are more efficient, effective and meet market needs. Having said that, technology cannot always be equated with innovation – it is often a means to an end. Legal innovation means harnessing the analytical abilities of our profession and collaborating across industries such as IT, design and marketing professionals. It is at the intersection of these disciplines where the magic happens. Legal innovation will enable a greater emphasis on human capital and lawyer-client relations. Most importantly, it is about action, not theory – not doing for the sake of doing, but to meet a need. The meaning and content of legal innovation is constantly evolving and therefore a set definition is an inherent limitation. The focus should be on stakeholders fostering open cultures that accept the right to fail, as well as the right to experiment. I believe the term ‘innovation’ is something that evolves over time. When you try to set the objective or meaning of the term, it loses the ‘spark’ of the term. The fundamental aspect the term tries to capture is that breath of fresh air either in a new industry or completely starting a new one. I think it it is so important that innovation is amorphous and that it does mean different things to different stakeholders – because that is when creativity and ambition collides to look at a matter from a new perspective and have the chance to create something completely new. Looking at legal innovation, what we are trying to encourage is a continuous rejuvenation of the legal sector such that it follows with social, political and economic developments in the world in order to provide information and services to people in a more accessible and inclusive manner. It is using technology and new management models to help make the legal process more efficient and justiciable. The evolution of the definition of Legal Innovation has been ambulatory, with several different paths to explore. This presents challenges when trying to consolidate a definition. However, I think as a starting point it encompasses: finding new ways to deliver legal services, finding novel ways to apply existing laws to adapt to the changing business and technology environments, and reimagining the possibilities when it comes to the services offered by law firms. Each of these topics can be separately explored. While some see technological progress as an existential threat, there are many procedural (and frankly, more mundane) changes and challenges posed by evolving technologies. These include things from use of electronic communications between lawyers, clients, and other stakeholders, to predictive coding and e-discovery. These innovations do not provoke the question of “what does it mean to be a lawyer”, rather they change the response to “as a lawyer, what do I do day-to-day”. This refers to the ‘stretching’ of legal concepts into new areas, where there has not previously been a clear reaction from the legal system. Perhaps my favourite example was an unsuccessful attempt to expand doctrine of trespass in an attempt to protect privacy (Bernstein of Leigh v Skyviews and General Ltd  1 QB 479). This is not the only nor probably the best example, but is illustrative of a trend which will continue in the absence of clear leadership. There will need to be action, both from the legislature and the profession, to ensure that the law adapts and evolves with (and, optimistically, even ahead of) circumstances as they progress. The capacity of law firms to provide value to their clients has never been so strong. Firms are in a trusted and privileged position in relation to their clients, which grants them the opportunity to provide insights and advice which are simply out of reach of many other professional services firms. This will start as providing insights and is likely to progress to more advanced analytics and other intelligence-based services which currently do not exist. It it useful to have a multi-faceted definition for legal innovation as the flexibility allows for all meanings to be contemplated and included in discussions of legal innovation. Moreover, it should serve as a reminder that each face is as important as its peers and that the neglect one is to pass by an opportunity to drive change. The second one tries to define legal innovation, they have failed to comprehend its purpose. If you can categorise what you are doing as innovative, you are already behind the eight-ball. It needs to be transient and non-identifiable to work properly. The likes of Google & Apple have embedded the concept into their culture, thereby reducing its meaning to nothing more than normal operation. Thus, for law, it should become a part of how everything operates and therefore also needs engagement by all stakeholders. The goal is collective, not specific. Although, adopting this understanding would render most legal PR departments, new law firm job titles and lawtech startups redundant. The very nature of innovation requires an amorphous meaning. As the central point, legal innovation is breaking away from the traditional legal process it is not necessary (or indeed appropriate) to apply a rigid definition to this concept. In this context, “legal innovation” will naturally have differing meanings amongst stakeholders. For example, an IT professional would likely perceive legal innovation through a focus on IT infrastructure whereas an architect would likely focus on the Court’s physical design requirements. In the writer’s view, it is important to maintain a broad amorphous meaning as technology will invariably continue to be developed and these new technologies will require new forms of innovation to fully and appropriately implement them into the legal profession. The ability to explore different and novel technology and concepts must be and remain the definition of legal innovation. Legal innovation is the application of novel solutions to needs of the legal profession, those outside the profession accessing its services, and the law itself. The primary utility of language is to facilitate communication about a given subject in an understandable manner. Depriving terminology of clear meaning for the purpose of applying it in an ad hoc manner is therefore antithetical to the epistemic function of language. The fact that the subject matter to which given terminology refers is protean does not mean that its definition ought to be equally imprecise. Legal innovation is a new idea, method or product that shapes how we interpret, analyse and create the law and legal profession. I personally believe the term ‘legal innovation’ has been overused because people mistakenly link it to technology. Technology will absolutely disrupt the legal industry but it will take more to genuinely shape the legal industry. For example, a robot may be able to review disclosed documents quicker than a human but that will not shape the purpose of the review; it will merely make it more efficient. Technology can be associated with legal innovation but I do not believe it can shape the law and legal profession on its own. It is important the term ‘legal innovation’ has a set meaning in shaping the law and legal industry because we need to recognise who the true innovators of our society are. Chief Justice Susan Kiefel is an example of legal innovation in my view. She has inspired many in achieving the position of the highest-ranking judicial officer in Australia because her education, gender and career path did not fit the expected norm. I believe she has shaped the legal profession through her perseverance and illustrated why our legal profession needs and improves with diversity. Legal innovation, much like other types of innovation, is all about the new, which is why ‘innovation’ often sits uncomfortably with its descriptor. The law is all about history, patterns, and precedent. Therefore, a workable definition of legal innovation which respects both parts of that term must necessarily involve an embrace of the old and new. Legal innovation consists in using old doctrines in new ways, developing new doctrines, reconsidering the implications of law, and expanding the focus of the law beyond what has been traditionally understood as its ambit. I don’t think there should be one standardised definition or set of values which relate to legal innovation as the very nature of innovation would be against that but it is important to protect stakeholders’ interests by not misusing the word or diluting its potency. Legal innovation means a shift or ‘disruption’ in current values and methods used in the industry. Whether it is billable hours or AI innovation to me means creating or altering the way in which things are done to make the process easier/faster or more effective in turn moving the profession forward instead of staying stagnant. I think the above will always have differing meanings to different people which is important to the progression and imagination that is required in moving forward, whether it’s through technology or is just a different method of completing the same task. Without differing opinions everyone has the same ideas. According to The Atlantic, at one point in history, to call someone an “innovator” was to accuse them of heresy. With the rise of science and industry in the 19th century, ‘innovation’ came to have a positive meaning associated with inventing a technical marvel. It was a measurable concept. Now, in public usage, ‘innovation’ really means ‘newness’ of almost any kind. Is a dynamic, malleable definition desirable? There is no doubt that the broadness of the term, and its status as a buzzword, risks a haemorrhage of meaning. On the other hand, an overly static and prescribed definition would itself be contradictory to a point of meaninglessness. The issue is why the definition is being reshaped in each case. For example, ‘innovation’ is a term sometimes held hostage by those with ulterior motives. Take service providers who use the word in their marketing shtick. They may be quick to criticise as ‘not innovative’ those who fail to engage them. This kind of cynicism is the real source of confusion. What, then, is legal innovation? Legal innovation is ‘newness’ in a legal context. For example, new business models, new technology, new conceptualisations of what it means to be a lawyer. I believe, however, that for such newness to be newness worth caring about, it has to bring about positive change in areas including (but not limited to) time efficiency, profitability, enhanced access to justice, and enhanced mental health outcomes for the people involved in the process. 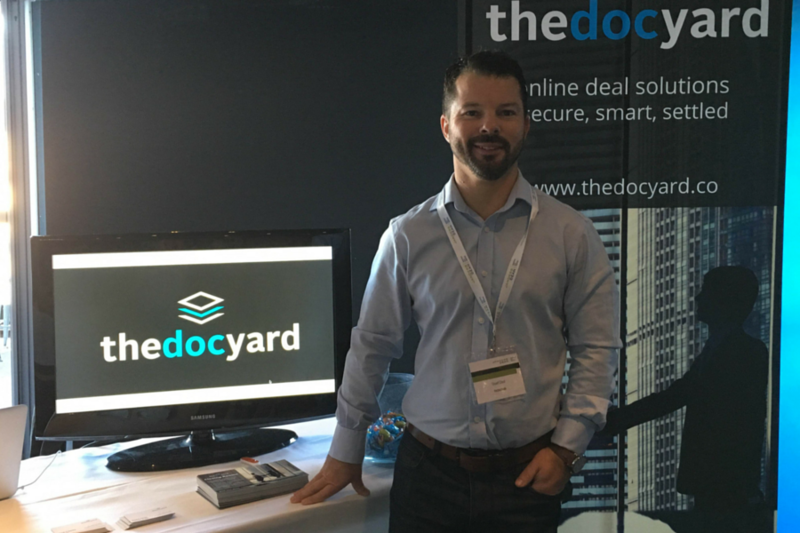 Milan (TLF) caught up with Stuart Clout, the super insightful former partner of Colin Biggers & Paisley who left it all to establish Australian lawtech startup thedocyard – now the world’s leading deal management platform. Stuart, what is something you believe that other people think is insane? That in the lifetime of my 3 year old son Australia will be the new world super power. The difficulty lies not so much in developing new ideas as in escaping from old ones (John Maynard Keynes). My relationship with wealth creation, which is the obsession of the western world. I once strode the treadmill of get a degree, get a good job, work really hard, get promoted, become the boss, accumulate wealth…die. But I got off that treadmill, when I looked around me and saw my future in those who had been on the treadmill longer…and did not like what I saw. Now I focus on creating, building, people, ideas, change, relationships and humour. Tell us about thedocyard. How did it come about? thedocyard is the world’s leading deal management platform, it is a seriously cool piece of technology that solves real problems faced by the legal and financial sectors right now. It has been described as the “Atlassian for deal makers”. It optimises current transactional practices, bringing efficiency, transparency and control to what are stressful and high stakes undertakings. It came from an anxiety attack, in my office, on a Sunday night. I was running the biggest deal of my career and I suddenly realised I had no idea where anything was up to, who was meant to be doing what, and what needed doing next! This happened as I did not have the tools I needed to properly manage my transactions. The legal and financial sector clings to old technology like spread sheets, word tables, white boards and post it notes as a way to manage complex matters. I knew there had to be a better way, so I built it! thedocyard will stop anyone having that problem ever again! What is next for thedocyard? What is next for you? Next for thedocyard and me are closely intertwined at the moment! We will be expanding our footprint in Europe and launching into the US market this year as well as delivering some new features which will take our technology into the stratosphere compared to what is on the market – very exciting times for us @thedocyard! You were the youngest ever partner in a prestigious Sydney law firm – why did you leave it all behind? What do you believe are the shortcomings of the partnership model and do you think law firms will have to evolve beyond it in future? I think law firms are already evolving beyond it, and have been for some time particularly in the UK with alternative business structures now common place. The partnership model is fundamentally skewed towards conservative and short term thinking, as the core driver is annual partner returns and is not a sound business structure for leverage and long term investment. As such, we see organisations with partnership models lagging miles behind other businesses in areas such as investment in technology & innovation as this requires long term thinking and patience to see results (and resilience to a bumpy road to get to a better place). It means adapting to the changing needs of the client. I see a lot of innovation talk in the legal sector being very internally focused, which is plainly flawed. Clients (still) are not properly being brought into the conversation, and this is reminiscent of the way law firms have always worked. And it is a huge problem. And it is also why New Law outfits which are doing things differently are winning work away from the old model. I think it is important to point out that innovation is not a new thing, we have been innovating since our ancestors used a stone as a tool. Innovation is about progress, doing things differently, trying new ideas and changing how you do something now for a better outcome. In a number of ways. At a very basic level technology applied to the legal industry frees up lawyers to do lawyerly things, not mundane repeatable tasks. This frees up bandwidth in the sector which can be applied to pro bono work. Technology will find its home first at the top end of town, but will filter and refine into applications which enhance and indeed facilitate greater access to justice. An example could be work flowing and automating a consumer complaint – this could very easily be done, and we could all have an app which automates and makes binding decisions in relation to consumer complaints instantly – how good would that be! This is where we will see the real explosion of technology opening up access to justice. By the way, I may have just told you my next great idea! Do big law firms have a role to play? 100% yes, and I think more so than ever as they will hone technology in their formula 1 garages that we will see in our every day firms and social justice outfits in the years to follow. I also think the big firms will become even more important for business as they will be able to run a model of high end laser focused advice bureaus opening up access to the impressive power of their intellectual property to a broader range of business. This is as exciting for business as it is for the firms – imagine working for an elite firm and actually working with emerging business which traditionally would not walk thorough your marble lined foyers! Do you have any advice for those graduating law school in 2017? (answering this makes me feel old) Yeah, I do, and it is challenge the way you are taught to do things, both in law school and more so in your new roles. But challenge with respect and a mind to the fact that change is hard, and that 55 year old partner you report to who does not use technology when they could, well, it is hard for that person, so take them on a journey rather than shove things in their face and expect that to change the way things work. Remember that all of us are just people, trying to do their best, and we all put our socks on one at a time. So use your privileged position of having an instinctive relationship with technology as a power for good, and help bring others who are constantly trying to catch up with it…hey I am not even that old and when I got my hotmail account in uni, I had no one to email as none of my friends had heard of email! So change has been fast, be a facilitator and leader.